Jakarta Maritime Agriculture and Food Tenacity (KPKP) Dept. conducted inspection toward fostered entrepreneurs' home industry food products (PIRT).
" This is done to ensure public that the product has permission, decent for sale, and safe for consumption"
Jakarta KPKP Dept. Head, Darjamuni said, inspection was conducted to assess whether the product meets the standards to be sold on the market and in accordance with the provisions, such as licensing, packaging, labels and others. "This is done to ensure public that the product has permission, decent for sale, and safe for consumption," he mentioned, Sunday (11/18). He explained, there were 75 fostered entrepreneurs from all Jakarta regions including Seribu Islands Regency participated in this activity. 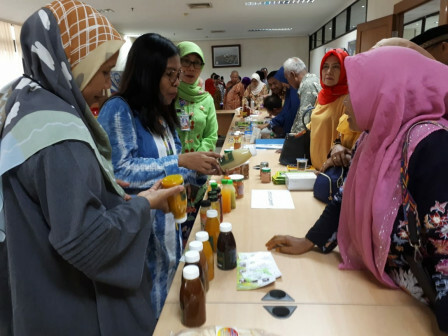 They produce home industry products such as cookies, beverages, bandeng presto (high pressure cooked milkfish), bir pletok, siomay, empek empek, and others. "We will continue to assist them to ensure home industry food products' quality, quantity, and also its business continuity thus their business can continue to compete," he asserted.